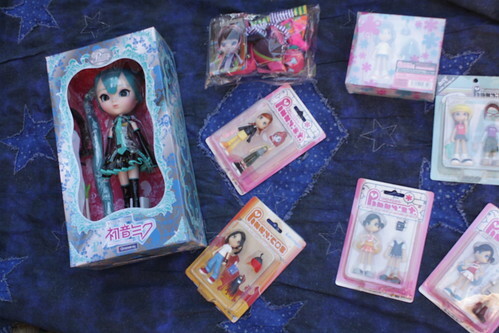 Mail call from late last week, featuring a few different packages arrivals including Miku from Pullipstyle as well as various Pinky Street and Pullip Chicca’s stock. I got PK001A, Mono Comme Ca Pinky, Go! Go! 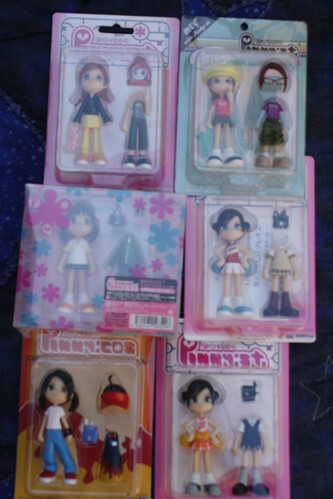 Pinky Street Wonder Festival exclusive Pinky, PK005A, Tencho Animate and PK005 they were all older Pinky Street that I needed for my collection. I still need to get Acchi Kochi as well as PK006B and PK002A to complete the older series before started to collect the newer releases from the past year or so. Some day I will have a complete collection of Pinkies. 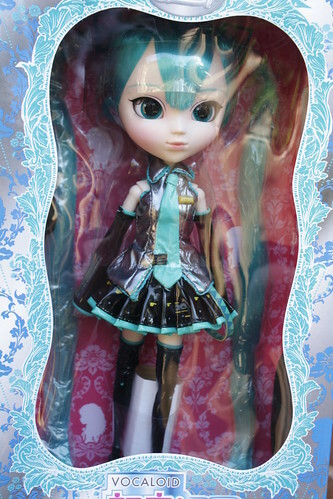 I also got a second Vocaloid Miku pullip to keep NRFB for now, I’m sure I’ll end up deboxing her everntually though. 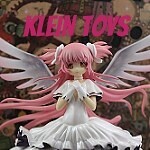 This entry was posted in 2011- 365 Toy Project, Doll, pinky street, Pullip and tagged pinky street, Pullip, vocaloid. Bookmark the permalink.